How might you help us carry this dream forward? Circumnavigating the world in a race is quite an involved project in and of itself. In the face of such a challenge, there are many ways in which you can join with us in bringing this dream to life. The first question everyone asks me is how much does it cost to do this? Well, we might as well get that out of the way right from the start. A typical program will take somewhere around $500,000 to cover the expenses of preparing, maintaining and managing a race around the world. This is after the cost of the boat, for which we are very fortunate to have a sponsor. While there is always a minimum amount of costs, the ability to highlight and expand the exposure of the project is contingent upon securing additional funding. We plan to put on a very first class project, whether that is done on a shoestring budget or greatly enhanced by additional funding. We proudly introduce you to an important sponsor who will bring much to this great adventure. Earthwatch Institute, an international environmental group that links support to scientists and educators in the environmental field. We will be providing them with raw data and observation while at sea that will be used by scientists and teachers to help in addressing issues of ocean health and awareness. Below you will find a growing list of things that could use more support. Please don’t hesitate to drop us a note (use our contact page, if you like) with any thoughts you might have as well. Any and all ideas are appreciated. Sailing Equipment: Sails, lines, hardware and the like. 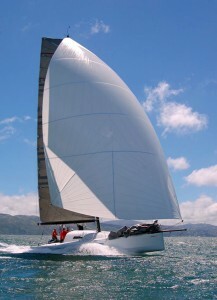 Some sponsors love to purchase a piece of equipment needed or a sail with their name on it. Transportation: We are constantly needing to ship things around. Beyond the boat and equipment, there are people, lodging, rental cars and such. Maybe you have some unused airline miles, corporate options to ship with discounts, rental cars on discounted basis or other things of that sort. Education: We will begin work soon with various schools and organizations to provide stories, pictures, scientific observations and content to students of all ages around the world. The curriculum options are only limited by one’s imagination. We’ll have more to say on this before long, but in the meantime, if you can see how using Bodacious Dream as an educational “lens” might be enhanced – then maybe you can help by making contact with schools that could use our content, or helping us to run an educational programs or even by writing a grant to help fund a program for your school, so that they might take advantage of our growing and global network. We hope to find funding to hire a staff educational coordinator who will help to keep all of these iniatives flowing through the duration of the race and on into the future. This may even be the MOST bodacious part of the dream. Marketing: Here’s an area that contains many possibilities. We will be forever looking to gain exposure about the project – from simply telling your friends and community about the project, so that they can follow along on the Internet, to encouraging your local news outlet to carry a story. The more we can spread the word, the more people will become aware of what we are doing and so help us to expand the reach of the project. We plan on selling BoDream t-shirts and hats before long as well, but there are so many other ways to get our news out. Any additional ideas you might have, would be greatly appreciated. Funding: Well, simply put, we’re in constant need of funding. This might come from private donations or by taking advantage of some of the exciting and innovative marketing options the whole Bodacious Dream project will create, that might serve to showcase and align your business or organization with one of our exciting, positive and world-bridging initiatives. If you have an interest in helping us with funding or with putting us in touch with the marketing personnel in your business, we would be very grateful indeed.